Sleeping from 12 to 14 guests, our 5 bedroom cabins in Red River Gorge are perfect for group retreats, church groups and family reunions. If you are looking to get people together for a week, you’ll love staying in one of these. They each offer plenty of space, beautiful views and a variety of amenities, including hot tubs and pool tables. If you’re looking for specific amenities for your stay, give us a call and let us help you! 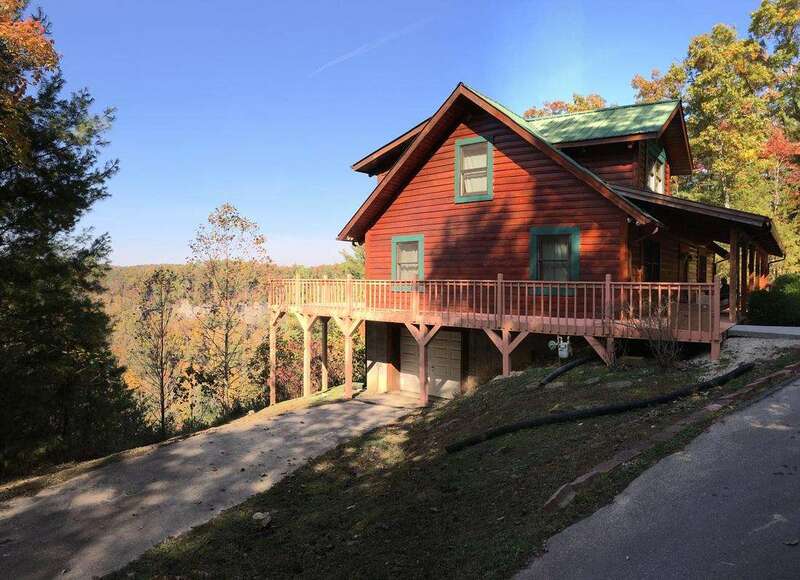 Spacious, our largest cabin, Eagle View has 3000 sq ft of living space and is a secluded, beautiful log cabin with stone fireplace. This gem sits on a 400 acre private development with farm, hiking trails. 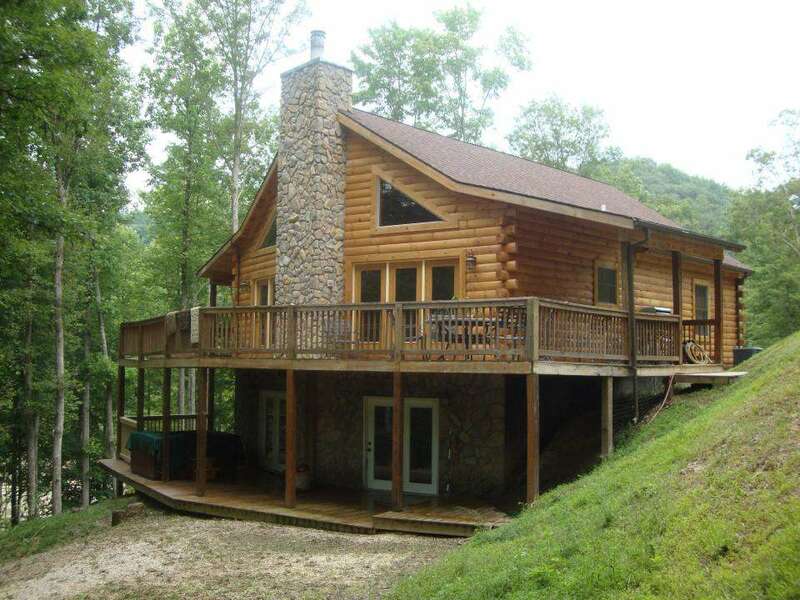 Cabins sleeps 13 people in 5 BR and has 2 full BA. Amenities include central heat and air, washer/dryer, outdoor hot tub, 4 satellite tv's, wireless internet, firepit, gas grill, pool table. A corn hole set is on the deck so bring your own bean bags! This house sits on a hill overlooking the farm so you will be able to see and hear the farm animals such as pygmy goats, mini donkeys and chickens. Feel free to walk your children down to see the animals. Bedroom arrangements: on main floor are 2 BR one with a king bed and second main floor BR has queen bed; downstairs is a BR with a king bed and an open BR with a twin and full size BR; the upstairs has a loft BR with 2 queen beds. Pool is a short hike away at the bottom of the hill. It is Swim At Your Own Risk, no lifeguards on duty, rules are posted in the cabin and on the sign on the pool fence. Sorry, No Pets allowed in this house do to proximity of farm animals. This is a perfect choice for large families or group of friends who want to spread out, be secluded and enjoy the farm and pool. Larger groups may want to look at renting Twin Oaks and Creekside Haven as well in order to have the entire development to yourselves. 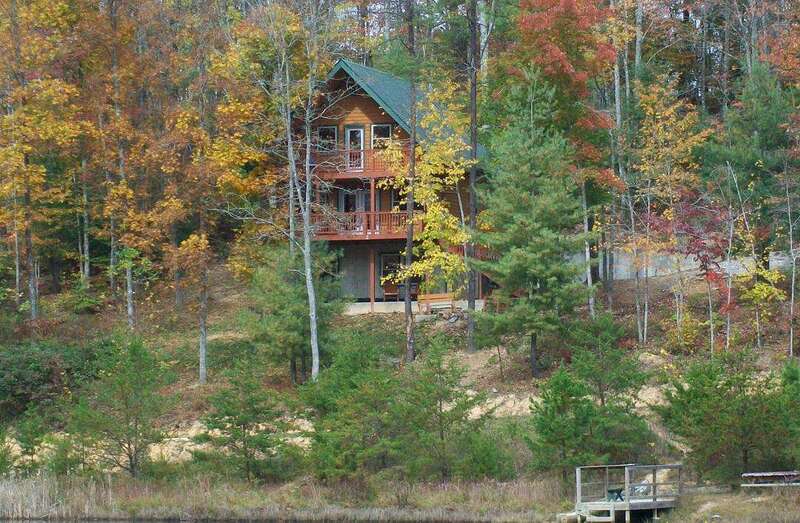 All three cabins are secluded but within walking distance of each other.